The power of social media to unravel reputations has again been amply demonstrated with shocking footage emerging from fast food outlets in North Carolina, USA and in Adelaide, Australia. Staff at Dominos Pizza and McDonalds have let their employers down with in one case malicious hygiene ‘stunts’ and in the other, lack of attentiveness re standards of restaurant presentation. Two US Domino’s Pizza staff are facing criminal charges after posting an appalling video of a staffer passing wind on a sandwich and shoving cheese up his nostril. In Australia, diners branded a McDonald’s restaurant as the filthiest fast-food joint in the world; in both cases ‘heritage media’ has picked up and run with these bad news balls. From a PR/crisis management viewpoint, I’d contrast the way the companies have responded to the damaging footage. In the States, a honcho from Dominos uploaded a SocMed-friendly video addressing the issue, slamming the staff and apologising to the franchisee and public for the incident. 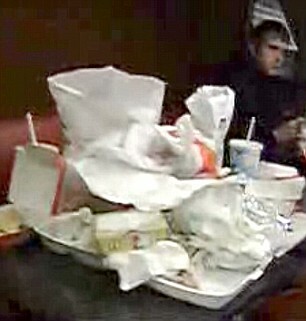 All I can see from McDonald’s in Oz is a bald statement from a PR saying “McDonald’s prides itself on the highest standards of cleanliness…yadda…yadda…zzzzzzz” A picture still paints a thousand words, so does Maccas response say they’re not concerned by this coverage (almost 150,000 online views plus TodayTonight national TV coverage), or does it say McDonalds Oz don’t yet know how SocMed works or how to upload credible corp responses to the new media channels?